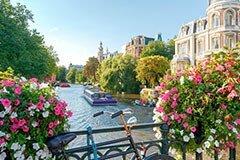 Most coach holidays to Holland offer day trips to Amsterdam, as well as excursions to Zaanse Schans windmills, fishing village of Volendam, The Hague, Keukenhof Gardens and more. While traveling by coach through Holland countryside enjoy spectacular views over Dutch bulbfields in spring, visit historical windmills and taste traditional Edam cheese. 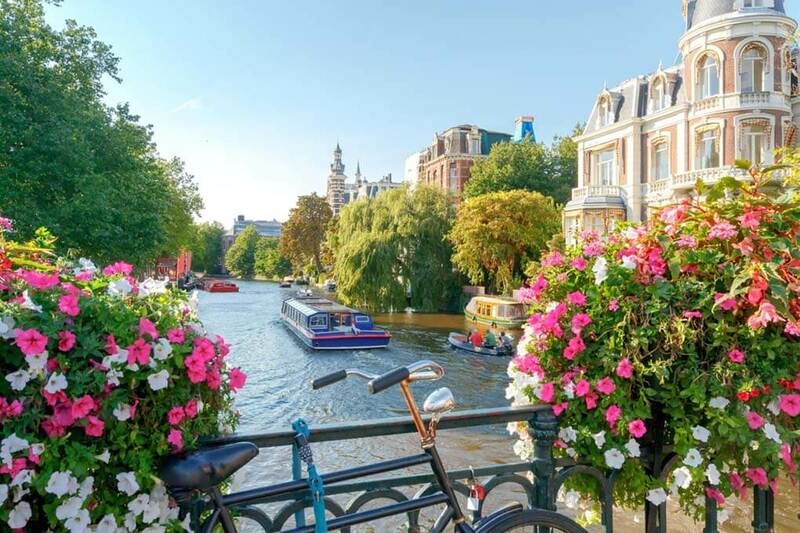 Amsterdam is the capital city of Netherlands, known for its beautiful canals, friendly people and laid back atmosphere. Why not to take a canal trip and enjoy the "Venice of the North", or just watch the world go by in one of the many canal side cafes. Amsterdam is thriving city full of charming architecture, history, culture and excellent attractions. Rijksmuseum is the biggest museum in Holland and the most recommended place to visit during your coach trip to Amsterdam. This house in the centre of Amsterdam was Anne Frank’s hiding place. You may even get the chance to visit the small apartment where she wrote her famous WWII diary. Van Gogh Museum is another must go attraction when visiting Amsterdam. The great art museum is dedicated to famous Vincente van Gogh with the world’s largest collection of his works. Experience a different and tranquil atmosphere in this charming part of Amsterdam. Narrow alleys, leafy canals, small cafes and a better sense of local life. Take some time to wander around Vondelpark, the greenest part of Amsterdam. This large city park is the favourite spot for both tourists and locals especially during the sunny days. Every flower enthusiast should experience the beauty of the rainbow carpets of bulbfields in Holland in the spring. 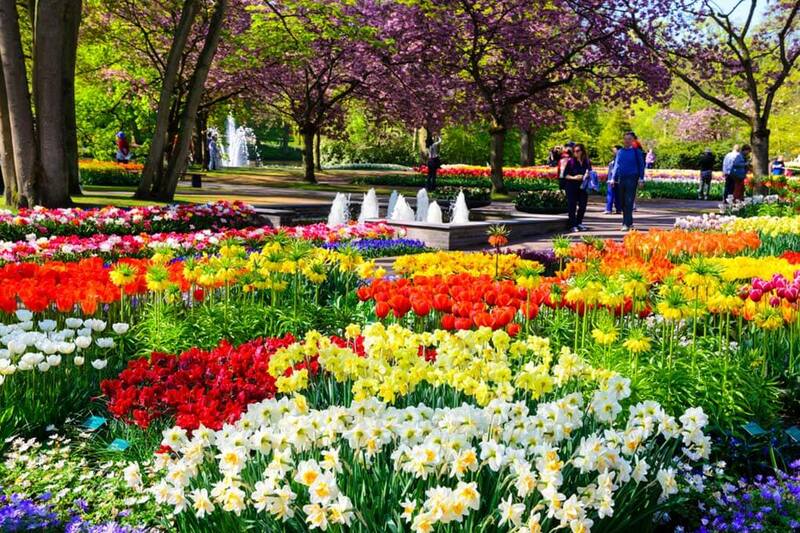 Keukenhof Gardens is the most spectacular spring garden in the world, with over 7 million tulips, daffodils and hyacinths that spring into life every year. 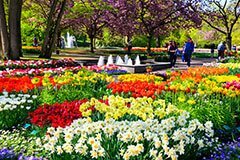 Spend a day out in Keukenhof Gardens among the 32 hectares of colours, enjoy the spectacular flower shows and witness inspirational design ideas for your garden. Every year top designers and artist work together to bring you a unique theme and unforgettable experience. This year Keukenhof Gardens will be open from 22 March to 13 May 2018.